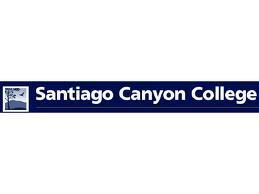 We are pleased that you have selected Santiago Canyon College in order to pursue your educational endeavors. Our campus is conveniently located on the corner of Newport Blvd. and Chapman Ave. in the city of Orange, and is conducive to meeting the demands of your busy school, home, and work schedules. We offer a varied curriculum with a comprehensive selection of liberal arts, science and technology courses as well as programs that transfer to four-year colleges and universities. The recent addition of a new Science Center has given us the opportunity to enhance our course offerings utilizing the most advanced science labs in the region. Furthermore, we̠re proud to offer many excellent career education programs, some of which are unique among Southern California community colleges. You may select from a variety of classes, including transfer requirements, career technical courses, English as a Second Language, and basic skills/developmental courses in a number of degree and certificate programs. The Orange Education Center, located on Batavia Street in Orange, provides free personal, educational and career training classes to over 10,000 students each year. For your added convenience, we are also broadening our course offerings to include a wide range of online classes. Please take a look at the online section of your class schedule to view your choices. Santiago Canyon College̠s dedicated faculty and staff have helped thousands of students complete their educational objectives. Our faculty and staff are well prepared in their disciplines, and include several who have been selected as Teachers of the Year for Orange County. They will provide the necessary guidance for you to be successful. In addition to excellent classes, Santiago Canyon College also offers opportunities for success outside the classroom with our award-winning sports teams.